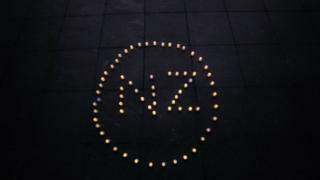 Countries across the world have paid tribute to the victims of a terror attack in New Zealand. 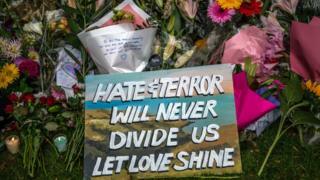 A banner is laid amongst flowers and candles at the Botanic Gardens in Christchurch, New Zealand, after two attacks that took place in the city's mosques on Friday. 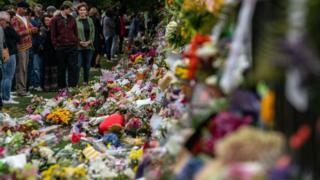 Thousands of people have visited the Botanic Gardens in Christchurch to leave tributes of flowers, candles and posters and to remember the 50 victims of the shootings. Members of New Zealand's Maori community perform the Haka, an ancient ceremonial dance, during a vigil near the mosques where one of the attacks took place. 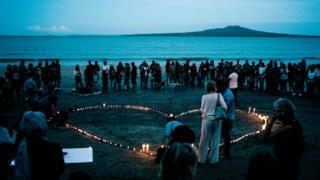 Vigils have also been held around the world. Many sports events paused to remember the victims of the attack. 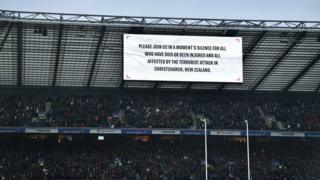 This sign was shown during the Six Nations final between Wales and Ireland, where players and fans all observed a moment of silence. 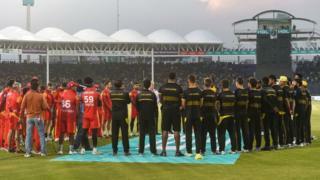 In Karachi, Pakistan, cricket players paused before their game to remember the victims with a moment of silence. 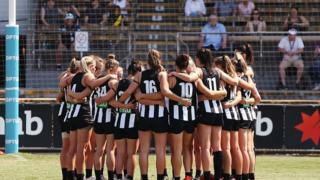 Here Aussie Rules Football players from Collingwood in Australia take a moment before the game to remember those killed in the attacks. The Empire State Building in New York City turned off the iconic lights which usually illuminate the outside of the building at night. 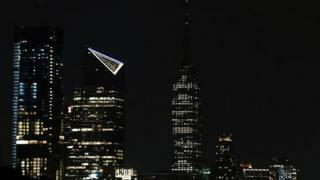 A message on the Empire State twitter account said "Our tower lights will remain dark this evening in sympathy for the victims of the shooting in Christchurch, New Zealand". 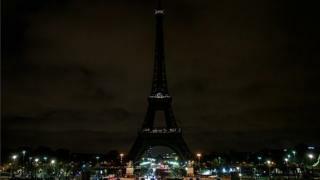 France also switched off the lights of the iconic Eiffel Tower to show solidarity with everyone affected by the Christchurch attack. 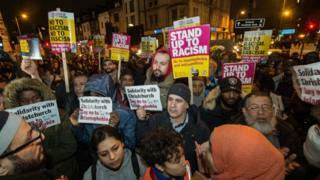 A protest against racism was staged in London, outside Finsbury Park Mosque. Many people of all different religions and races took part. Candles are used to create a tribute at a vigil in Washington Park, New York.